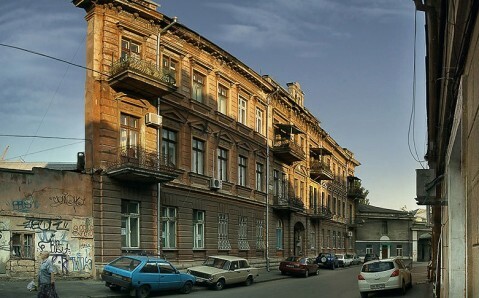 The Flat House is perhaps the most unusual building in Odesa, its architectural highlight that gathers crowds of tourists all year long. 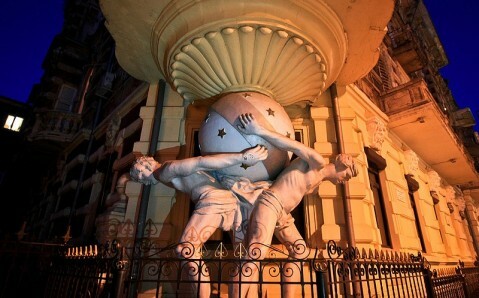 Located in the very center of the city, a stone’s throw from the famous monument to Duke de Richelieu, this building with unique structure is very popular among locals, who are keen on brining the Southern Palmira’s guests here and watch their puzzled reaction. 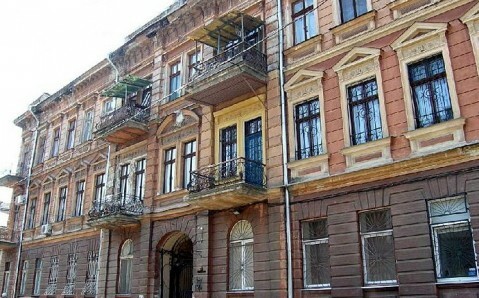 The thing is when one stands in front of the house it seems to be the ordinary old one with fine hammered balconies, original cornices and stucco work on its walls; it doesn’t differ much from the rest of the edifices of the Odesa historical part. But if one looks at it at the certain angle, the house will present a new image of itself – it gives an impression of being completely flat as though the house features only facade wall. The interesting visual effect is caused by an unusual architecture of the edifice. It lacks the back wall, and lateral ones are adjacent to the main facade at an acute angle therefore the building has triangular structure. Because of this architectural feature, the building was nicknamed the Flat House. The same reason serves as a basis for mystical properties and sometimes the edifice is named the Witch’s House. 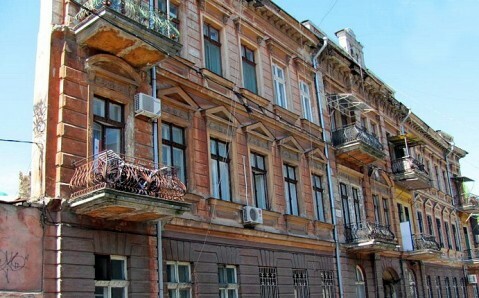 It is uncertain when this original building was constructed in Odesa. 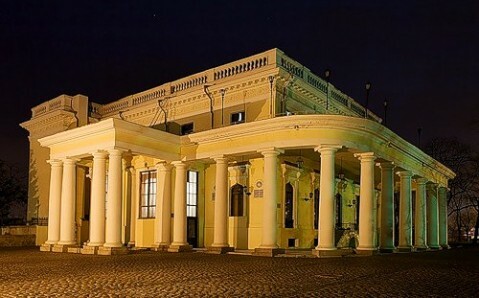 It is believed that the house was built in the end of 19th century, and its first residents were courtiers of count Vorontsov, whose palace stands nearby. 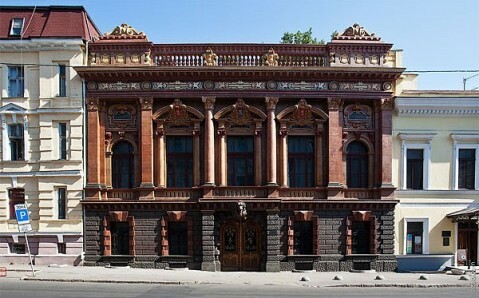 Moreover the history lacks the name of an architect, who designed Odesa architectural masterpiece. According to the most common version that is to explain a unique peculiarity of the building, the architect faced the lack of money during the construction, so it was decided to adjoin two lateral walls and save some money on the back one. 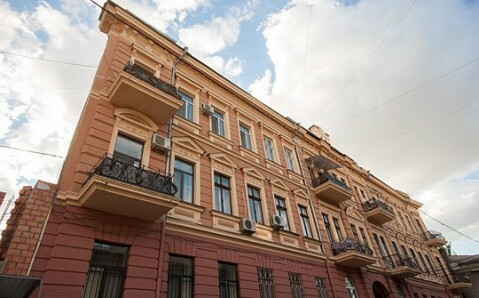 Nevertheless, there is one more explanation of the architecture: they say it was a lack of land and impossibility to violate the historical facade of the street that is why the architect was obliged to use such an unconventional structure of the house. 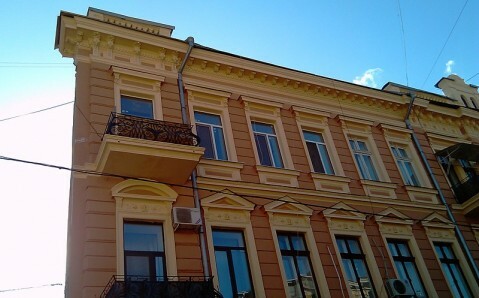 The Flat House, or the Wall-House, another nickname of the building, is notable not only for its exterior. 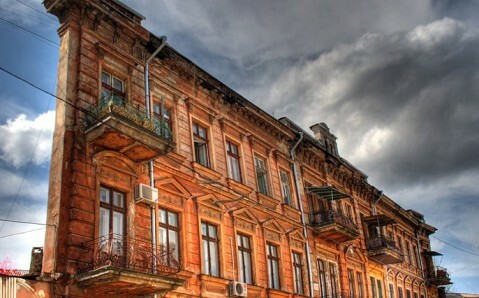 Despite being of advanced age, caring residents achieved to keep its old interiors intact: hammered handrails, marble staircases, flawless stucco work on the ceilings.